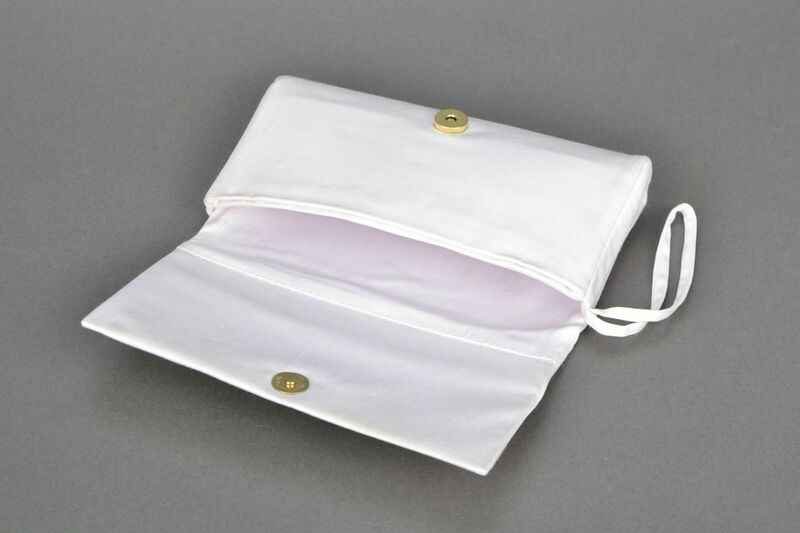 MADEHEART > Satin clutch "Rose"
This clutch is hand made of satin on plastic basis. 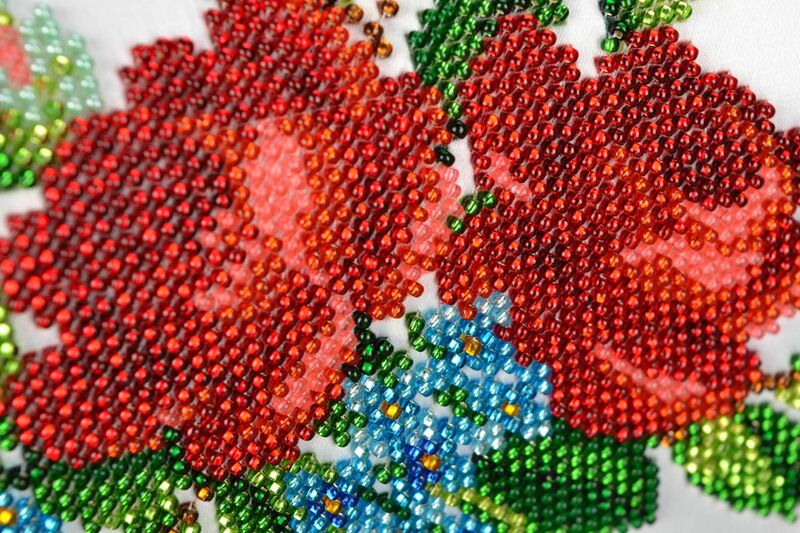 It is decorated with Czech beads embroidery. 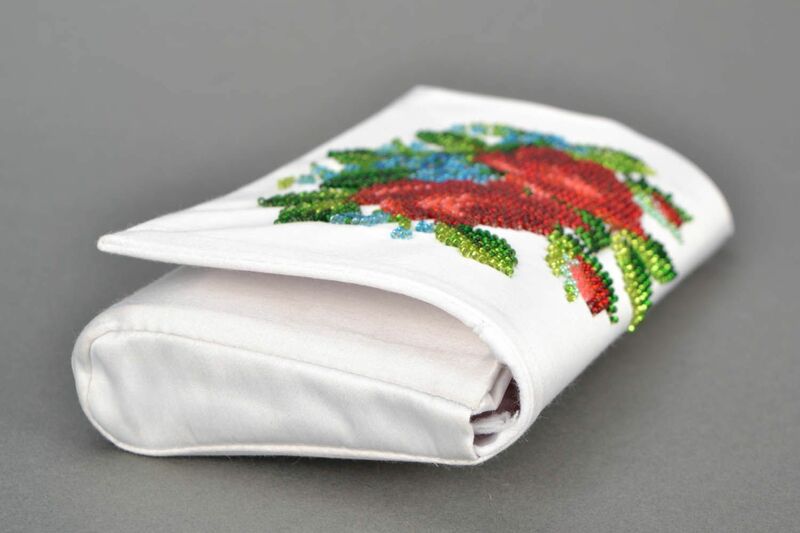 It&apos;s a luxurious accessory that looks great in combination with white evening dress or suit. 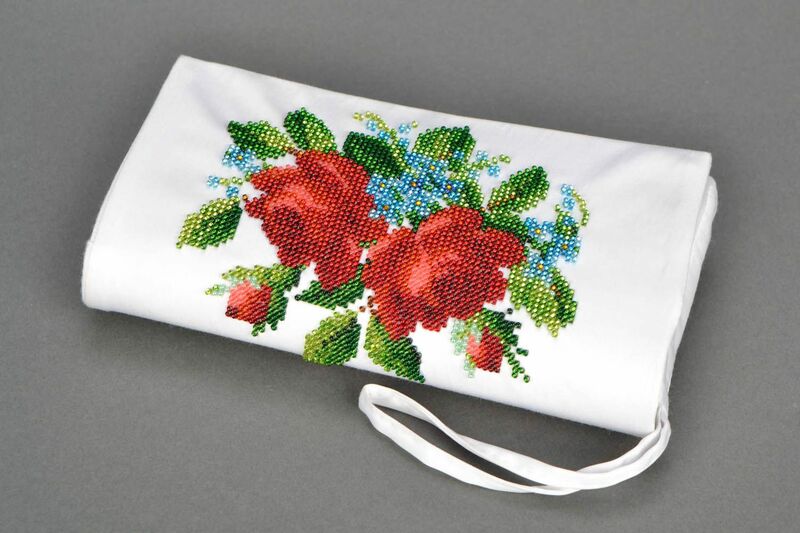 Roses embroidered on purse look very harmoniously. 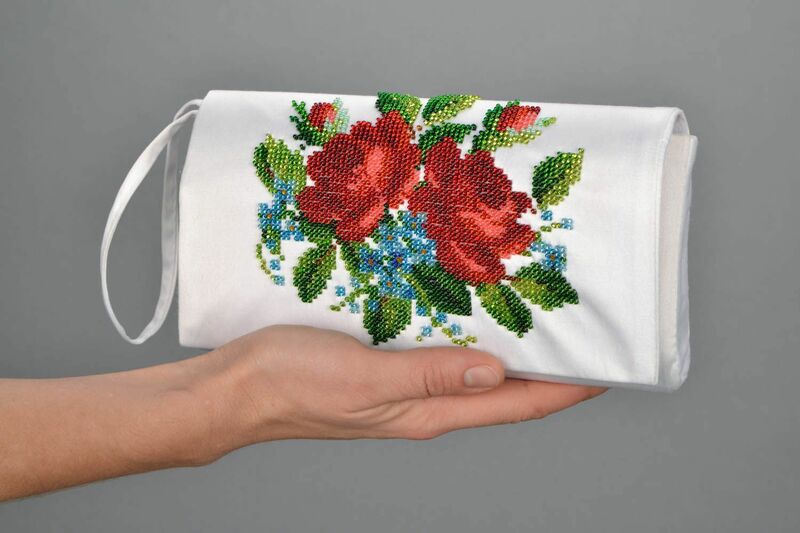 You will look stunning with this accessory!